You’ll all be aware of the work that the government department Waka Kotahi is about to undertake, but in case you aren’t, then here is a helpful update from them*. The Wellington Regional Office is going to go live with their proposals on Saturday 2nd July, no doubt with a big splash in the papers and they’re even doing a postal drop too, apparently, to every household in Wellington. Regional Director Central Jenny Chetwynd says “this will be the first time the full set of proposals has been presented together as an integrated package,” and they will ask Wellingtonians for their views on the proposals over the course of an eight week public engagement period. So: make sure your views are heard loud and clear. •	Widening Ruahine Street into the strip of Town Belt on the western side of the existing road. •	Open from Monday 4 July to Friday 26 August – Mondays to Fridays (10am to 3pm) except for Thursdays (3pm to 8pm). From memory, that diagram is largely unchanged from the original motorway proposal explored way back in the 1960s. Surely there must be some options that could be explored? Or is that still the best we can do? Stop Transit’s tunnels from as early as April 2008, where we all first heard of this. No Fly Zone from November 2008, where the “overpass” bridge was unveiled. Memorial Parkway from April 2009, about that forgotten Memorial in the forgotten “Park”. Inhabited Bridges from April 2009, where we explored alternatives to straightforward bridges. Project Rugby from August 2009, where we looked with astonishment at the approval for a supermarket to be placed on the roundabout. Tunnel Vision from May 2009, where we looked at tunneling equipment. Fishing the Basin from August 2009, and this one, probably most of all, that dismissed the Overpass as a piece of poorly thought out urban planning, and mused on the possibility of putting a second tunnel at a lower level than that of the existing, instead of putting them side by side. Still worth some serious consideration, I would have thought. We haven’t really explored that much through the other side of the Mt Victoria tunnel, so we have got nothing on the Wellington Road / Ruahine Street upgrades, but I’m assured that there is intelligent life out there in those suburbs, and that they do deserve to be treated better and not just tooted at in the tunnel. Other than that: we’re looking forward to seeing the proposals, and for the debate to come after. That bus is going to cause an accident. 1. The Basin suffers at the moment from being the middle of a roundabout. If the west-east traffic is on the overpass, then why not route the north-south traffic down just one side of the Basin rather than both sides? If the traffic was routed to the west then you could close down roads on the east side and make a much nicer pedestrian environment. 2. A longer tunnel that ran from the western portal to Wellington Rd. That would avoid any need to widen Ruahine St.
3. Two new tunnels. The old tunnel will still have narrow lanes. Close it to traffic and use it for pedestrians and cyclists. Is it just me, or does the tunnel design look way a little excessive to you? Tunnels are expensive things – typically now dug by TBMs (Tunnel Boring Machines) which therefore leave a circular cut through the ground, and are largely automated with one person at the front controls, and a series of conveyor belts taking away the spoil and bringing in the lining panels. This design has a flat bottom, which would indicate use of boom-type road-header machines, which have crawler tracks and a manouvrable cutter-head to create that kind of profile. The tunnel is arched at the top (reflecting the reach of the cutter-head) which has space for 2 large ducts for air-ventilation. While it is nice to see that pedestrians and cyclists have at last been properly catered for, with a decent wide walkway, there is a huge mass of blank, unused space inside this tunnel, which would have cost a lot of money to dig out – and would create a lot of spoil to dispose of. Interesting comment Alan. It WILL be interesting to see whether NZTA goes ahead with this method. @Richard – probably not: the tunnel will be one way for vehicle traffic. OTOH, why is the bus in the tunnel in the first place? There’s already a separate bus tunnel. 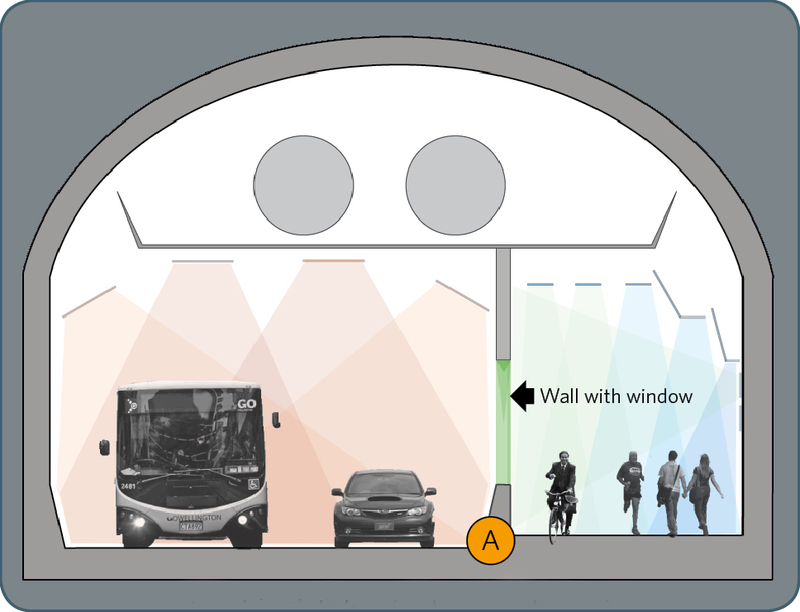 @davidp #3 – or if the new tunnel will have a walking and cycling lane, we could take the path out of the side of the existing tunnel, which could widen each lane by half a metre or so. Actually – apropos of Alan’s comment – does anyone know what will happen to all the earth dug out from the tunnel, if indeed it ever does get built? Where would it go to? In the old days they probably just shovelled it off the edge of Oriental Parade into the sea – but I’d imagine that is frowned upon now. I think I may have read something somewhere about the old Waitangi Stream getting filled in, or the level of the Basin getting raised with the spoil? Can anyone confirm that? “multi modal approach”? You mean it’s a route for cars and those who don’t have them, don’t you? “relieve congestion”? Make sapce for more cars, and more cars will surely come to fill it. Max, in the old days (before hydraulic earth moving equipment) the spoil would be dumped locally but these days once it’s on a truck it can go anywhere more or less. I know that the park halfway up Onslow Rd which leads up to Khandallah is from the spoil that came out of the railway tunnel ventilation shaft servicing the tunnel that pops out at the bottom of Ngauranga Gorge. Would I be correct in assuming that one Tunnel Boring Machine will be brought into town to do both jobs, that is, the second Terrace Tunnel as well as the Mt Vic one? Is this job piggybacking to keep costs lower? By the way I agree with the over& under layout you propose Max, albeit with the lower tunnel offset so that one doesn’t collapse in on the other. We’ll still need roads when we’re all riding around in electric cars..
Alan – there is a reason they use TBM’s, it is because it is the fastest, safest and most efficient way of building big tunnels these days. You talk about “unused space”, I gather you mean under the flat road. That space can be used for things like ducts for fibre/power, water mains, sewer mains, drainage etc. Same with the over head portion. I can assure you it would not be an empty void. Projects like this often have “fringe” benefits, for example; being able to run services along them, when the original tunnels were built they did not have things like fibre and the like in mind. Also remember that manually digging it is hazardous and slow, where as using a TBM is a smooth way of building a fully lined tunnel without exposing staff to rock falls and issues like that. Andrew: I don’t think that anyone is expecting any manual digging on modern tunnels – we’re too lazy and safety conscious nowadays! If Alan is right, then NZTA are not planning on getting a TBM at all, but will just use a road-header on this and therefore probably also the Terrace Tunnel as well. 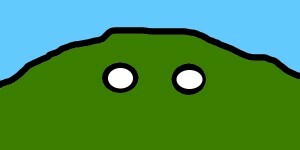 60: welcome back – you’ve changed your profile pic! Where’s the young one gone? 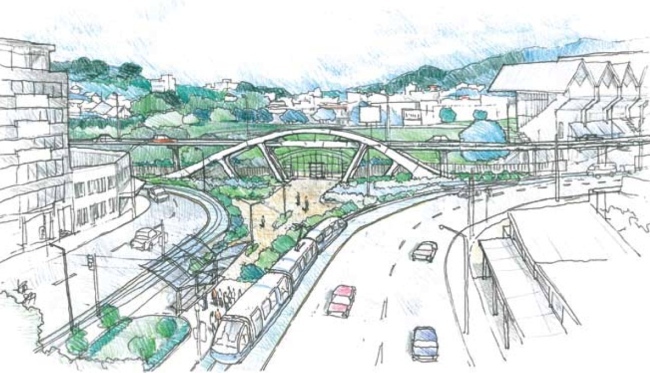 Yes, piggybacking is likely: there is an organisation called the Wellington Tunnels Alliance which has been formed and seems to be looking at both existing tunnels (Terrace and Mt Vic) and also proposed new tunnels (ie also Terrace 2 and Mt Vic 2). 60 – There’s this myth that traffic congestion is increasing, but the facts (i.e. NZTA’s own surveys) say that traffic volumes on SH1 dropped 2% last year, rather than the 3% increase that’s used as the standing justification for new roads. 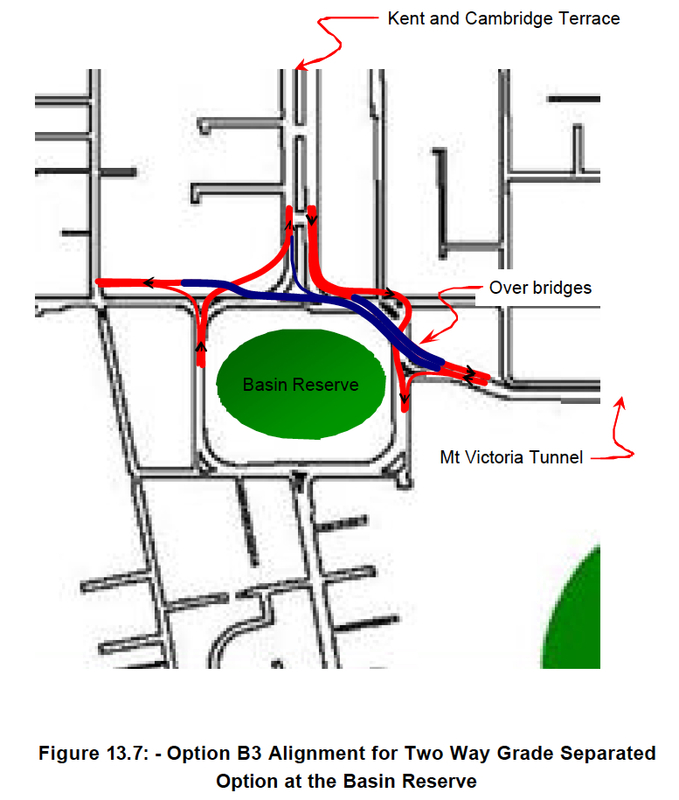 And SH1 of course includes the Basin and Mt Vic tunnel. And if you look at the stats from across the western world, vkt/vmt has been static or falling since 2006, which pre-dates the latest oil price rises. So when electric cars do eventually arrive, there’s simply no evidence that they will result in lots more driving. 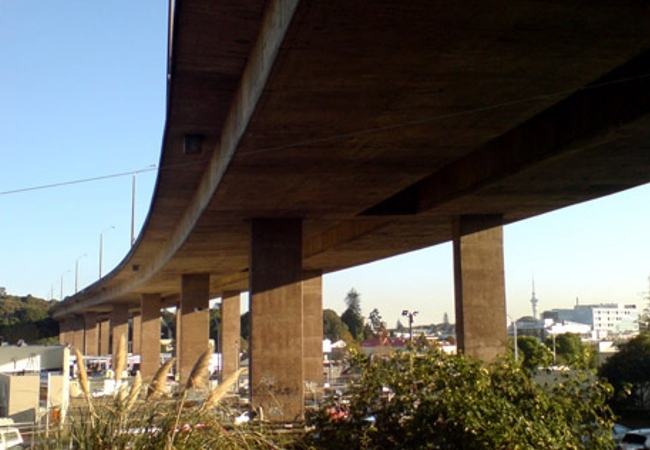 And let’s face it, if traffic volumes are falling, why do we need a second tunnel and an ugly flyover at all – surely the money would be better spent on rebuilding Christchurch. Max – Yes, there is a PPP called the Wellington Tunnels Alliance that’s working on both the Mt Vic and Terrace tunnels, and NZTA is using them as a way of deliberately concealing essential information about the projects from local residents. Here in Mt Vic we’re concerned that the toxic residues at the top of the Mt Vic tunnel plenum (chiefly lead from petrol emissions and diesel particulates) are going to be blown out the top of the ventilation stack into the grounds of WEGC each morning when they switch the fans back on. NZTA have confirmed they don’t intend filtering the ventilation stack, yet they are refusing to release the Environmental Control Plan to the public because it’s allegedly the unique intellectual property of Leightons, the Australian contractor and PP partner! It’s also a really bad precedent to withhold public information in this way. If NZTA get their way with basic documents like the Environmental Control Plan and the Project Management Plan (as they’ve attempted to do) then practically every other document relating to every single PPP project will be classed as “unique intellectual property” and out of the reach of the mere taxpayers who paid for it. What annoys me is that the public relations flunky from the Wellington Tunnels Alliance came along to a meeting of the Mt Victoria Residents Association, and when questioned directly about OIA access he stated unequivocally that all the documents would be available – and they then denied the first OIA request. It’s hard to avoid the conclusion that he’s a lying scumbag. Insider – thanks for that, good to know. Are you following this? Kent, whilst not personally a rabid tunnel supporter I think that it makes some sense to invest in infrastructure as opposed to, say, working for families.The human race needs precious little encouragement to breed. 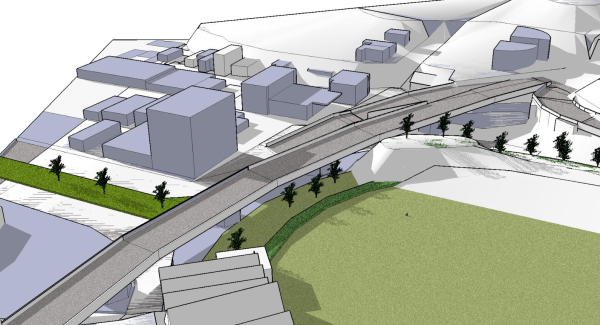 I agree that the flyover is ugly and I think that the Arch Centre’s “cut’n’cover” type proposed solution would be better whilst also having the added advantage of demolishing the church on the North end of the Basin. Always good to get rid of churches, exceedingly nasty things. “added advantage of demolishing the church on the North end of the Basin” ?? What Church? There’s 2 that i know of, to the East (St Marks and St Josephs), but only car yards that i know of to the north? Or have i missed something? 60 is probably thinking of Suzanne Aubert’s mission – the yellow-painted heritage brick building on the northwest corner of the Basin Reserve, on the Buckle Street corner. The heritage people are very exercised about NZTA possibly demolishing it, as there’s a lot of social history and architectural merit in it. That’ll be the Sisters of Compassion house, designed by John Swan, who was one of Wellington’s foremost church architects. It does seem to be… rather in the way of everything really. Still: it is quite small, and relatively easily moveable, although as no one seems to have given a toss about it for the past 50 years, it would seem odd to get too worked up about it now. Perhaps it will look more happy when it has a flyover suspended above its roof? Not sure what 60MPa has got against the church, must have been given a bollocking by a local vicar when he was younger…. No I think he is disoriented and meaning/hoping St Josephs on the east side. Can’t see that being a target in reality. I forgot to ask, how would you make a double decker tunnel work? Sure you could drill a hole but where would it come out, what would it connect to, how would you separate traffic and how would the road actually work? I think there would be real connectivity issues, particularly on the east side. 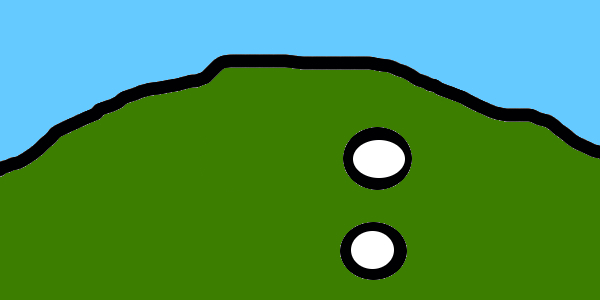 The thing I have against a double level tunnel, apart from venting the lower layer, is that putting a large hole through an EQ-prone hillside is inherently weaker than two smaller, more armoured tunnels. I was mistakenly thinking that the SOC House was a church – perhaps NZTA could re-route through the carparks of all churches in the immediate area? That way we could all run over a few christians on the way to the airport. We might as well, seeing as when we get to the airport we’ll all be sitting around waiting for the ash to clear..
60 – am laughing my head off at your last comment… but love that pistonheads report – lovely helix structure, but scariest thing ever – you’re driving along on one side of the road, and five minutes later, you’re suddenly on the other side of the road. That’s bound to cause a few accidents at the next intersection! Insider – not actually proposing that we have a double decker tunnel – just that if a second tunnel is dug, there is absolutely no reasons that it has to be parallel or on the same level as the first one – it could enter into the hill at a lower down point on Mt Vic side (so it does not have to climb up so high) and exit further down / round the corner on the Haitaitai side. Exactly where: NZTA can do the work to figure that one out.